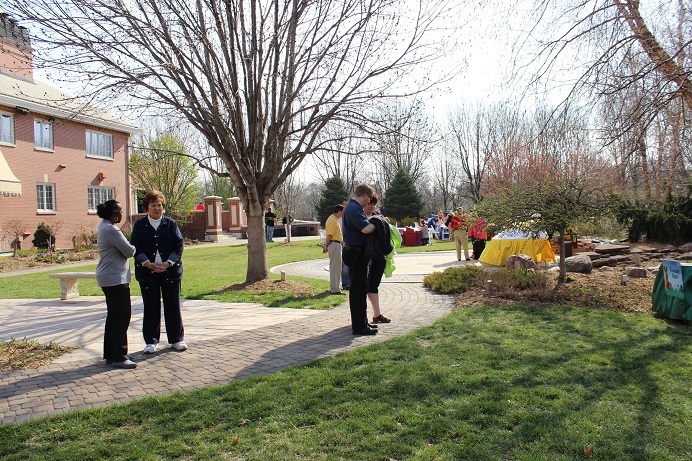 This Saturday, Governor Heineman and First Lady Sally Ganem hosted area families at their annual egg roll. 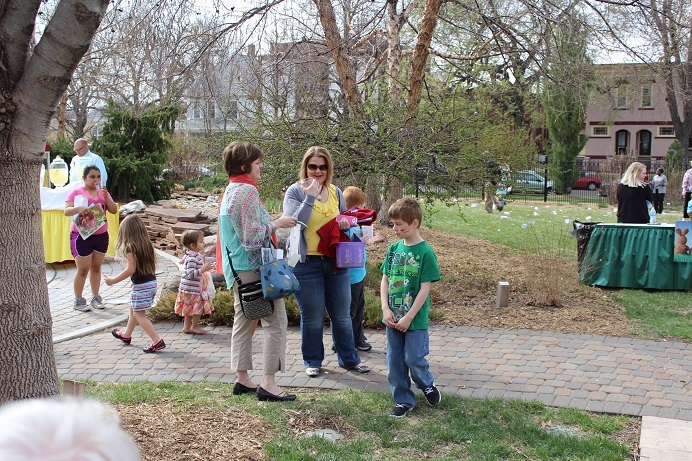 The First Lady is a board member here at Nebraska Children, and we were grateful to have the chance to join the fun. 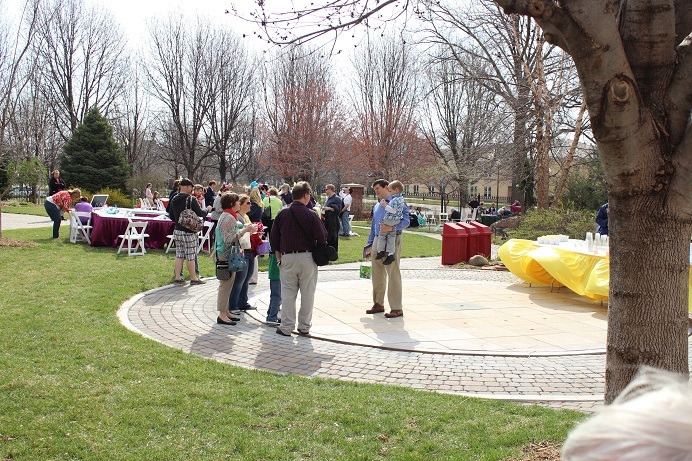 Kids and parents gathered in the backyard at the Governor’s Mansion in Lincoln. 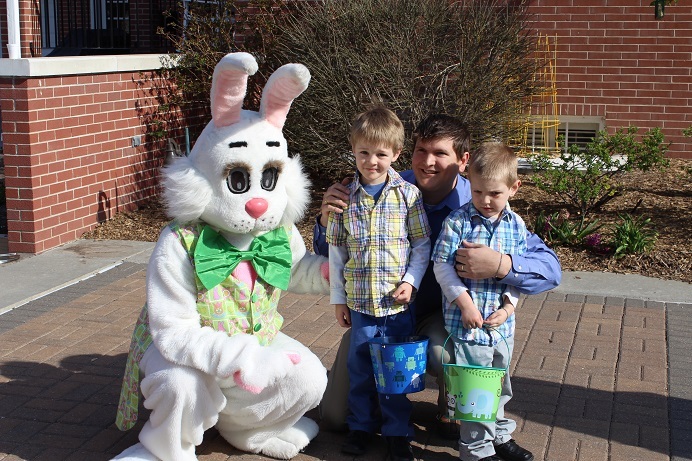 The weather fully cooperated, and the kids enjoyed two bouncehouses, egg races, a treasure hunt, story time, lots of snacks, and of course, the Easter Bunny. Have a look at the day’s events. 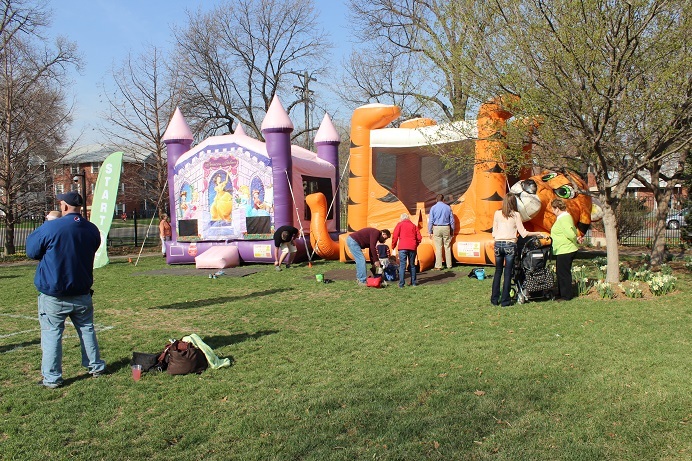 Definitely a favorite attraction – kids had 2 bounce houses to choose from. 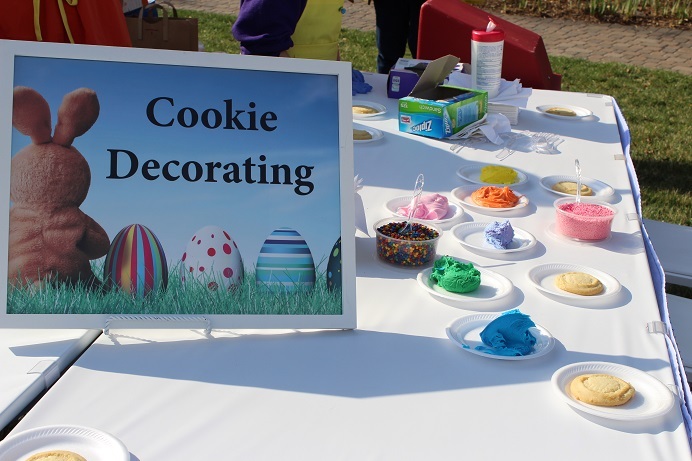 Tasty sugar cookies were available for children and families to decorate. The Easter Bunny handed out wooden souvenir eggs (sent from the White House!) and posed for pictures with families. 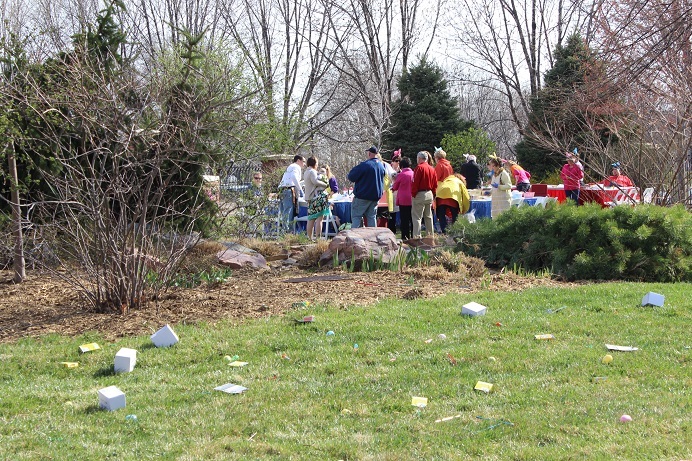 The treasure hunt offered plastic eggs, plus pencils, crayons, erasers, glue sticks and other fun project supplies. 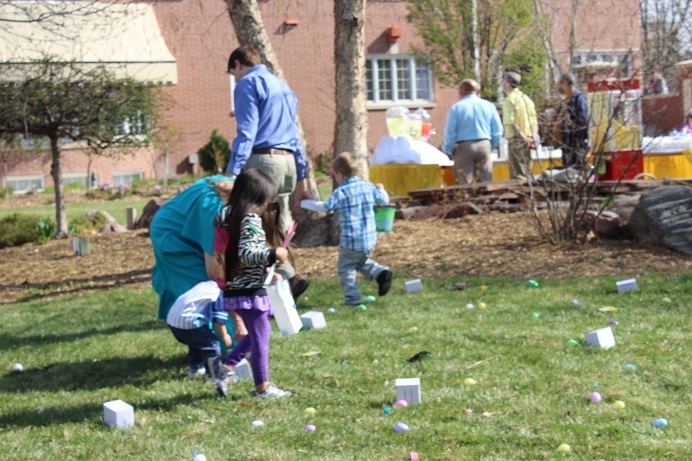 Everyone was a winner on the egg race field! 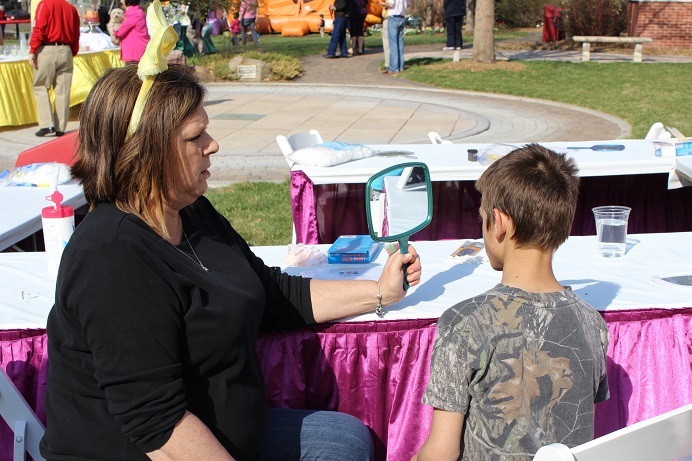 The face painting station saw plenty of creative artists. 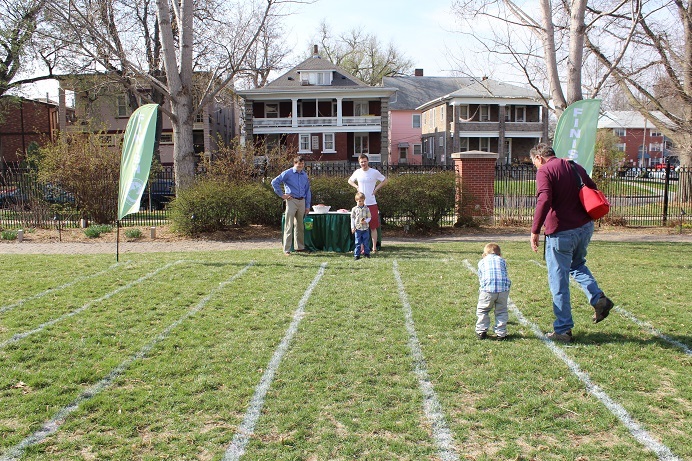 It was a beautiful day for families to gather and share fun experiences. 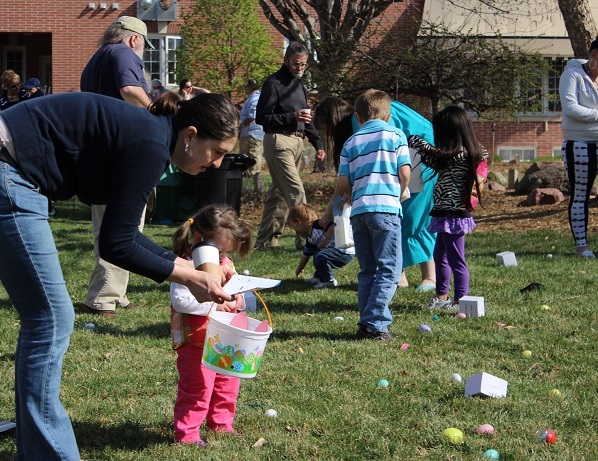 A mom helps her little girl collect goodies during the treasure hunt. 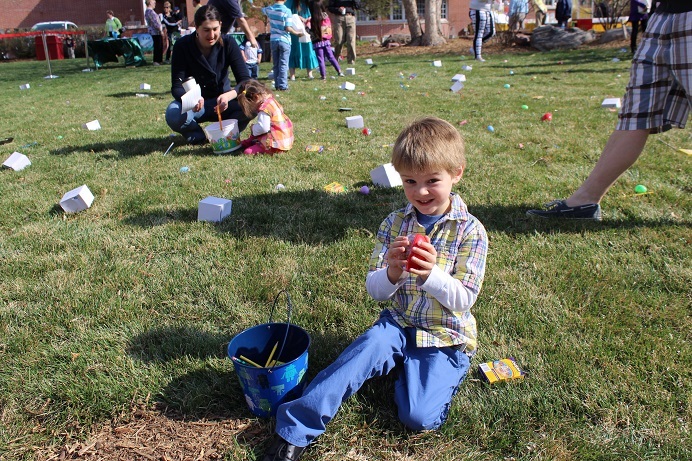 Looks like someone is excited about an exciting find during the egg hunt! 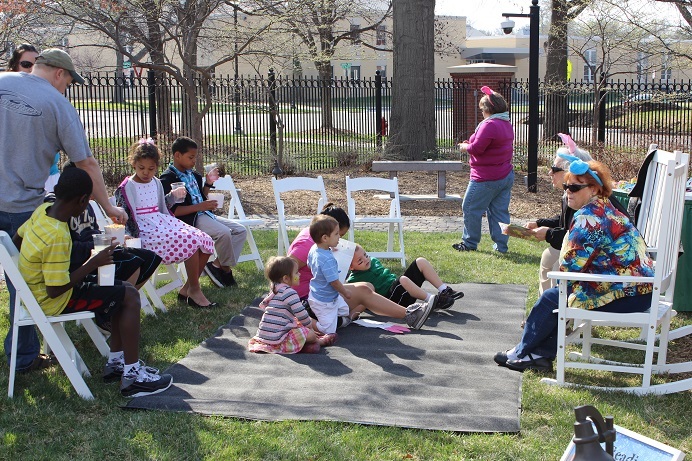 Children gathered for stories, and even got to select a book to take home.